Ink footprints collected in a ‘tracking tunnel’. Stoat footprints from inside an ink footprint tracking tunnel. A piece of meat is left in the tunnel and the stoat has to walk across an ink pad and over paper to get the meat. If you suspect that stoats are in your area then this is the best way to collect and identify their footprints. Stoat footprints can be mistaken for rat footprints. 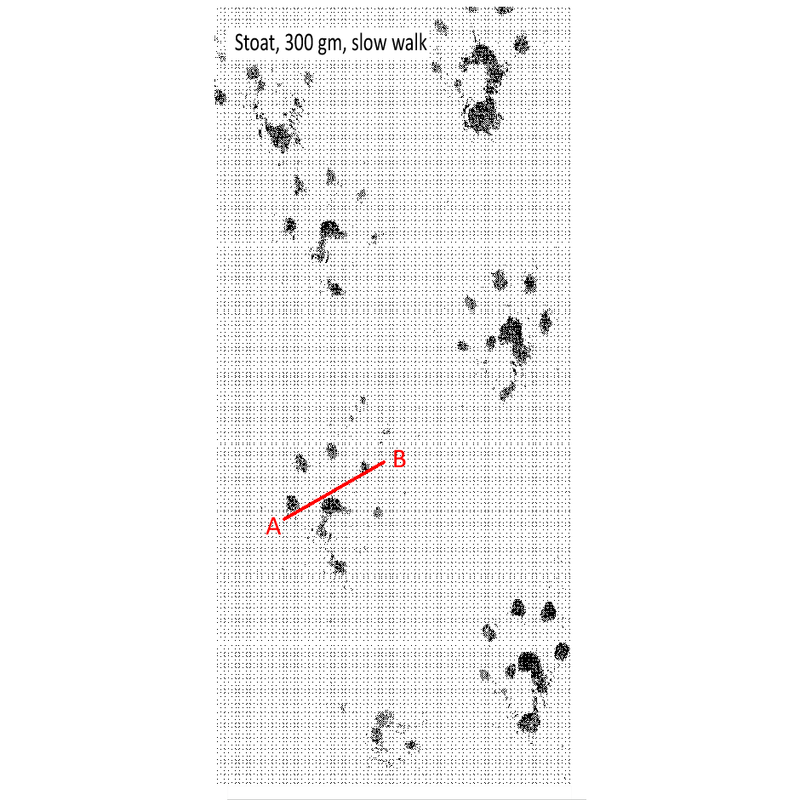 However, if you draw a line between the first toe (A in the picture) and fourth toe (B in the picture) the line will cross in front of the central footpad if it is a stoat.